Ahmed El-Gizawi, the Egyptian lawyer at the centre of a diplomatic spat between Egypt and Saudi Arabia has had charges against him of possessing illegal pharmaceutical drugs referred to a religious court, according to the London-based Al-Hayat newspaper Tuesday. He was arrested on 18 April and a verdict is normally delivered after 30 days. Saudi Arabia recalled its ambassador to Cairo and closed its diplomatic missions in Egypt on Saturday after protests outside its embassy following a sentence of one year in prison and 20 lashes were delivered against El-Gizawi in absentia for criticism of the Saudi government. The ambassador has since returned to Cairo. Saudi authorities have maintained that he was arrested for trying to smuggle 20,000 anti-anxiety pills into the Kingdom. The case will be transferred to a committee that will decide whether to call for the death penalty, amputation or stoning before passing the case onto a religious court. Saudi Arabian law prohibits importing or exporting anti-anxiety drugs except with a license from the Health Ministry. In addition, the Kingdom has a number of agreements with other countries for arresting people who smuggle such drugs. The General Prosecution and Investigative Authority started investigating El-Gizawi on Tuesday after he was transferred from the Drug Administration on charges of drug possession. The Saudi National Assembly for Human Rights assigned lawyer Suleiman El-Hanini to defend El-Gizawi. In a telephone interview with the Saudi Al-Madina newspaper on Tuesday, El-Hanini said he met El-Gizawi during investigative sessions at the authority's premises in Jeddah where they discussed the lawsuit and El-Gizawi agreed that El-Hanini would be his lawyer. El-Hanini confirmed that El-Gizawi did not experience any harassment, verbal or physical violence and was not chained when he met him. Al-Hayat also reported that Saudi authorities might ask Interpol to investigate how El-Gizawi was able to travel from Cairo international airport carrying large amounts of pharmaceutical drugs without coordinating with Saudi Authorities despite security agreements between the two countries. A diplomatic row between the two countries was triggered on 18 April after the arrest of El-Gizawi by Saudi authorities. Following his detention, dozens of Egyptian demonstrators staged a sit-in outside the Saudi embassy in Cairo. El-Gizawi was detained for allegedly "defaming the king" after he filed a lawsuit in a South Cairo court against Saudi monarch King Abdullah Bin Abdel Aziz Al-Saud. 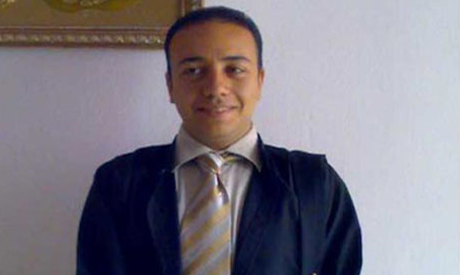 The lawyer filed the lawsuit on behalf of Egyptian citizens currently held without charge in Saudi prisons. Saudi authorities, however, maintain that El-Gizawi had been found in possession of large amounts of pharmaceutical drugs, sale of which is illegal in the oil-rich kingdom. The events surrounding Mr. Ahmed El-Gizawi are turning bad to nasty every day. Hope Egyptian government will take proper actions to defuse this matter. Rift between Egypt and Saudi is widening which is bad for both countries and whole Arab world.